I’m afraid to say that if you don’t live in either the US or Ireland, then a branded Aer Lingus credit card is likely to be out of the question. That said, and as we’ll explain in this article, all is not lost with certain credit cards in the UK offering the ability to transfer points to Aer Lingus (using the British Airways Executive Club as an intermediate account!). For the small number of US readers, you’re in for a treat. The Aer Lingus Visa Signature credit card offers a staggering 120,000 Avios bonus in the first year – you will however have to spend $30,000 for which you’ll receive a rate of 4 Avios for every $1. We estimate that an Avios point is worth somewhere in the region of 1p, which converts to 1.25c. As such you’ll be receiving an equivalent cashback rate somewhere in the region of 5% on the first $30k, which is excellent when compared to UK credit cards. In addition you’ll receive a 2-4-1 voucher when you hit $30,000 of spend in a membership year. 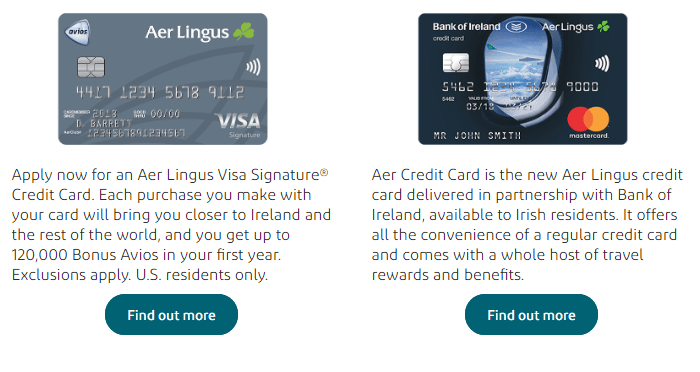 Whilst Irish residents also benefit from being able to sign up to an Aer Lingus MasterCard credit card, the benefits aren’t quite as generous as the US version but then again aren’t bad compared to UK credit cards. Perks of the Bank of Ireland issued Aer Lingus credit card include 2 lounge passes, 2 fast track / priority boarding passes and 2 free return flights to Europe (once you spend €5,000 on the Aer Lingus credit card). The two free return flights could be worth as much as 30,000 Avios. As I alluded to earlier, it’s possible to transfer Avios points between the British Airways Executive Club and Aer Lingus Avios programme. This opens up the potential to earn points using either British Airways branded credit cards or alternatively credit cards with reward schemes that can be transferred to British Airways. British Airways American Express (reviewed here) – This is one of the most popular cards for newbie Avios points collectors, which is strange because the benefits are some of the worst. Whilst the ongoing earnings rate of 1:1 is reasonable, the sign-up bonus of 5,000 Avios when you spend £1,000 on the card in the first 3 months is poor. Even with this increasing to 6,000 Avios using this link, it’s just 27% of the benefit offered by the other free credit card we mention below…. How about other credit cards which benefit from transfer agreements with British Airways? 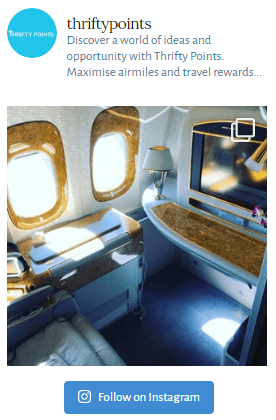 American Express Gold Card (reviewed here) – Our favourite UK credit card offering 12 airline transfer partners. Unfortunately you’ll still need to transfer points via British Airways however with a sign-up bonus of 20,000 points, an ongoing earning rate of 1:1 and 2 free lounge passes this would be the closest equivalent card to the Bank of Ireland issued Aer Lingus credit card. You can boost the number of points to 22,000 Avios by using this link. American Express Platinum Card (reviewed here) – A whopping annual fee of £450 pa is likely to rule this card out for a large number of people. However if you travel regularly the unlimited lounge access, free travel insurance, car-hire insurance, elite hotel status and the 30,000 point sign-up bonus could actually more than offset the annual cost of this card. Read our full review here to see how we value the benefits of this card. How to Transfer Avios from British Airways to Aer Lingus? 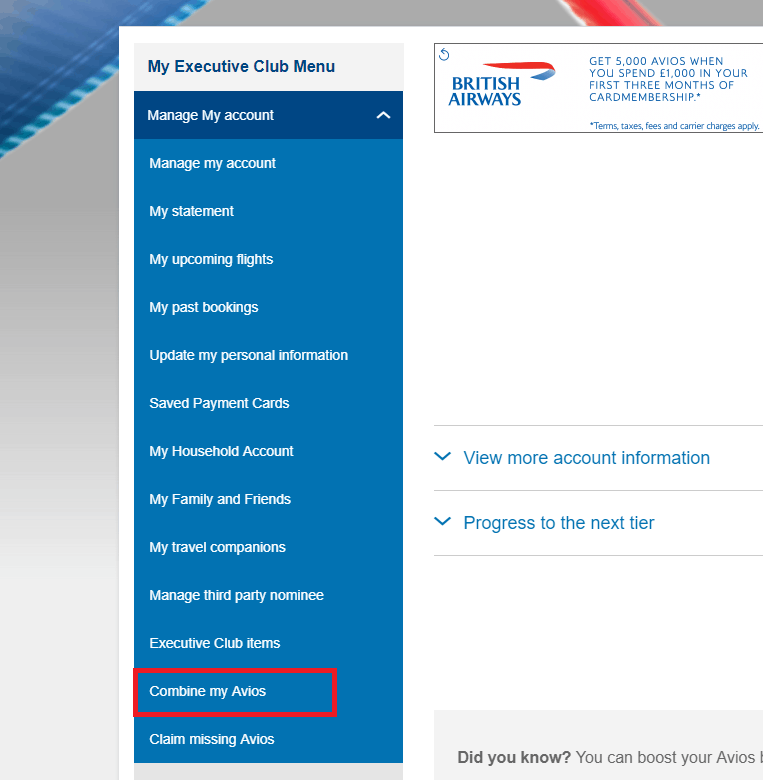 Step One – Log into your British Airways Executive Club account here and under the ‘manage my account’ tab choose ‘combine my Avios’. 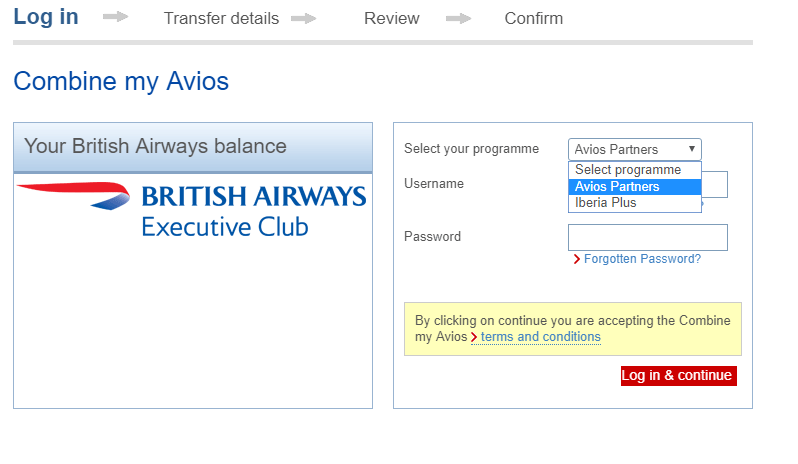 Step Two – Then you’ll need to choose to combine your Avios again (just in case you weren’t sure the first time!). Step Three – In the third step choose Avios Partners from the drop down menu and log into your Aer Lingus Avios.com account. Step Four – The final step of the process is to choose which way you’d like to transfer points from and to, as well as confirming the number of Avios points to transfer.